If you can not remember when you got your last vehicle inspection, it has been too long. The ASE Certified professionals here at University Chevron know how important regular service is, and inspections are the best way to catch any problems. As we all know, finding problems early means they can get fixed right away, before causing damage to your vehicle. Don’t let those small problems grow to cause expensive and time-consuming damage, instead come to University Chevron for your vehicle inspection. 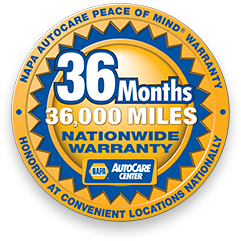 With over 38 years of automotive experience, you can rest easy knowing your vehicle is the best hands around. Call us, stop by, or schedule an appointment online today.